When dance music has a live drummer involved, it's hard not to walk away feeling inspired. 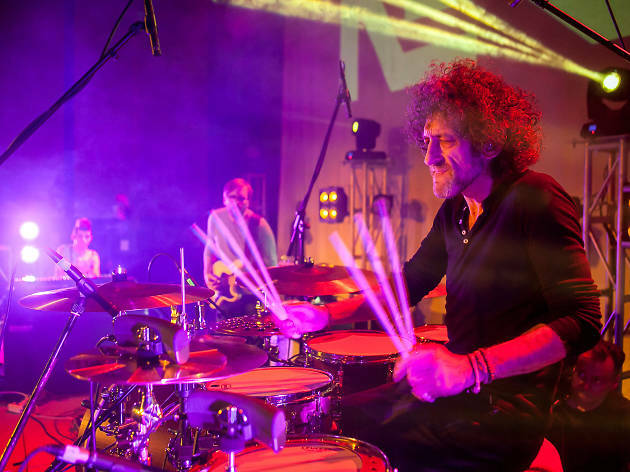 Which is why the return of Swiss drummer Sergé 'Jojo' Mayer to Hong Kong is an event music lovers should be clearing their scheduels for. 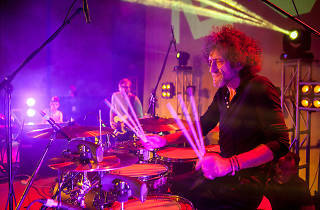 Mayer began drumming at the age of two, in Hong Kong no less, where he spent his early years. In his late teens he became a leading jazz drummer, sharing stages with acts as seminal as Nina Simone at some of the world's most prominent jazz festivals. As with many instrumentalists who train in jazz, his experience in the genre finely tuned his exceptional skill in percussion, which eventually he chose to apply to dance music. Specifically, drum'n'bass. A resident of New York since his mid-20s, Mayer founded Nerve in 1997 as a project intended to pioneer live electronica, influenced mainly by drum'n'bass and jungle music. For four years, he ran a night in NYC called Prohibited Beatz, where he and his three bandmates would jam live bass tunes for hours on end. Designed specifically for the live experience, the band's complex performances have toured the world ever since. Mayer is renowned as the master of reverse engineering, where rhythms from a loop machines are transposed on to an acoustic drum kit. Using a variety of special skills, he is famous for playing at unbelievable speeds and with flawless precision.